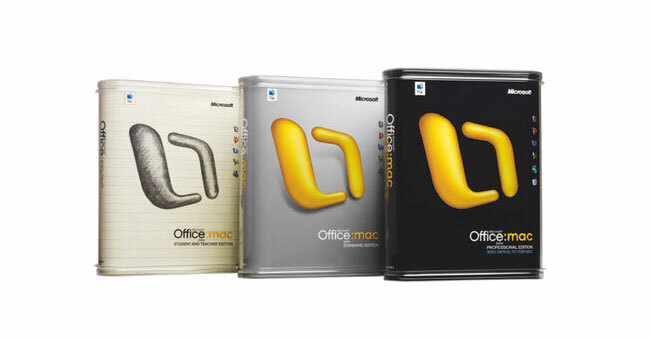 Microsoft has finally released a shipping date and prices for the highly anticipated release of the Mac Office 2011 software that will include a full Outlook client for the Mac OS, that has long been a missing component. Microsoft Office for Mac Home and Student 2011 includes Word for Mac, PowerPoint for Mac, Excel for Mac and Messenger for Mac, and it will retail starting at $119. It will be available in two editions — a single install for $119 and a Family Pack for $149 with three installs for families with more than one Mac in their household. Microsoft Office for Mac Home and Business 2011 includes Word for Mac, PowerPoint for Mac, Excel for Mac, Outlook for Mac and Messenger for Mac, and it will start at $199. It also will be available in two editions — a single install for $199 and a Multi-Pack for $279 with two installs for a user with two machines. Microsoft Office for Mac Academic 2011 includes Word for Mac, PowerPoint for Mac, Excel for Mac, Outlook for Mac and Messenger for Mac, and it will retail at authorized academic stores and Microsoft for $99. Microsoft is also offering a free upgrade to anyone purchases Office 2008 between Aug 1st 2010 and November 30th 2010.